The arrival of the Information Age means you have more data for sales than ever before. Now if you only had time to comb through it. 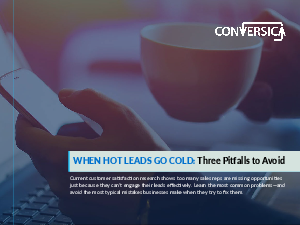 Current sales research tells a clear story: opportunities are falling through the cracks as traditional lead generation methods and automated emails create more missed connections. Too often, the tactics businesses use to bridge this gap simply create more problems: more work for sales reps, more arguments over lead quality and more money wasted on activities that don’t generate revenue. There is another way. Artificial intelligence technology offers a unified solution to each of these problems, freeing your reps to focus on closing the sale.